This is one of those places where you would go to again and again, just to enjoy the dreamlike atmosphere and to fix its beauty in a thousand clicks. As a matter of fact, we have been to the Castle of Chillon countless times, on a summer day with a sun that convinced us to refresh ourselves in the cool water of Lake Geneva; under a never-stopping rain in the fall; on a winter snowy day; during a sun-drenched morning and in the evening, when the sun disappears quickly and the darkness swallows all around. 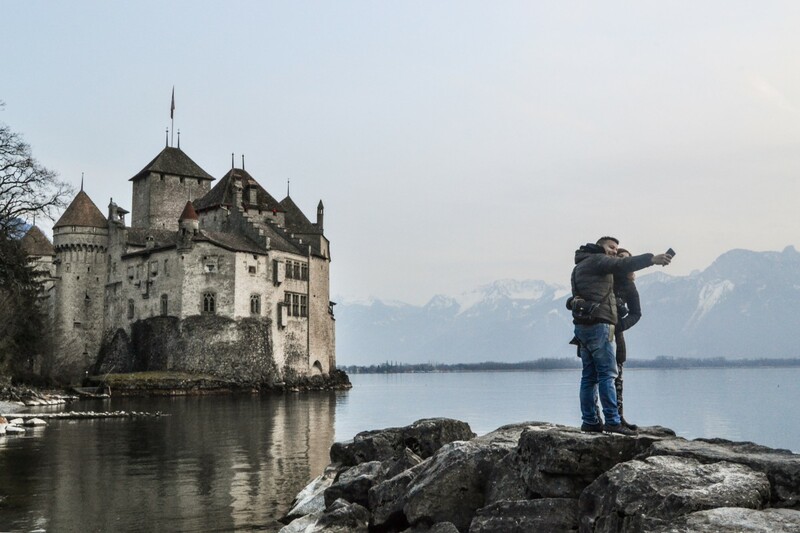 Chillon Castle stands on a rocky island on the eastern side of Lake Geneva, about 4 km away from the posh town of Montreux and it has been elected by numbers as the most visited historic monument in Switzerland, with 300,000 entries per year. The year of its erection is still shrouded in mystery: the area was inhabited since the Bronze Age, but the first written record of the castle’s existence is a document dated 1150. Since the 20th Century, it was the occasional residence of the Savoy family, who stopped here during their trips in the area, and it was a check-point of trade between Europe and Italy, being the only road linking Switzerland to Italy. 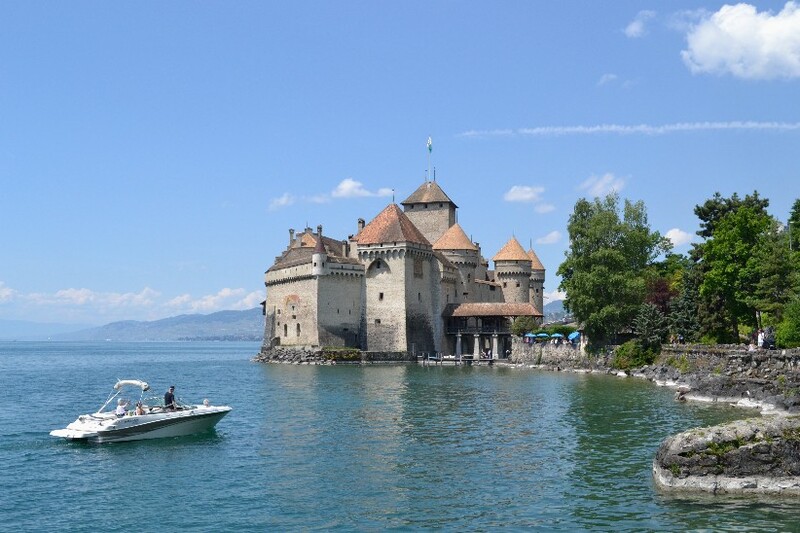 Later on, the administrative affairs of the Savoy family were moved to Chambery, consequently Chillon, from the 14th century, was used as a prison and in the 1793 as a hospital for the war wounded soldiers. The current structure is made up of 25 buildings and 3 yards, enclosed by two circular walls; 50 rooms are open to the public, including the prison that housed François Bonivard, the Genevan monk who was imprisoned for four years cause of his support to the Reformation, in a period characterized by the Catholic Church power, strengthened by the presence of the Savoy. The castle became famous in the 19th century thanks to Lord Byron, author of The Prisoner of Chillon poem which tells the story of Bonivard; and being one of the locations of the story “Daisy Miller” by Henry James in the 1878. In the basement, there is still the column where Lord Byron carved Bonivard’s name, thinking it was the one to which Bonivard was chained. The scenery is so lovely – the castle, which looks like one of those portrayed in many fairy tales, is framed by snow-capped Alps and the infinity of Lake Geneva water – that Bollywood comes here to shoot the beautiful princess and her brave prince love drama. 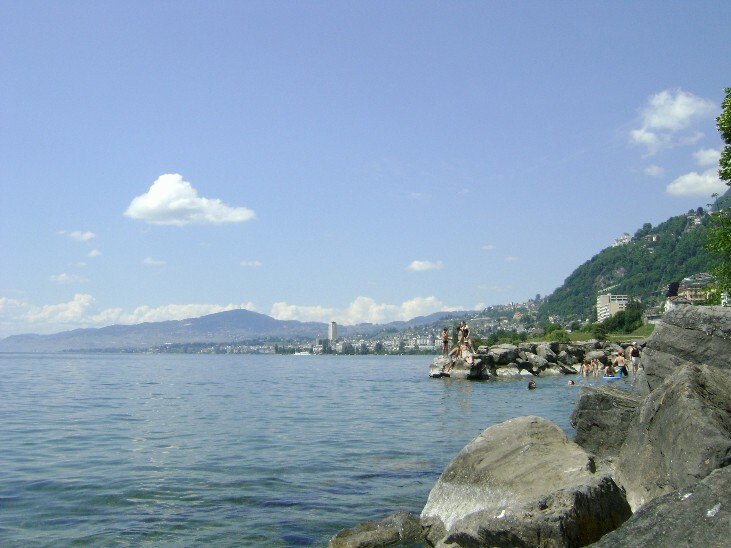 Going beyond the castle, you will reach a small pebble beach, which is often crowded by families dealing with barbecue or groups of guys lying in the sun or swimming, during the summer. Walking further, the trail leads through a little forest and goes on along the railroad tracks, then you will end up again close to the lake, on a 3 km long boulevard. 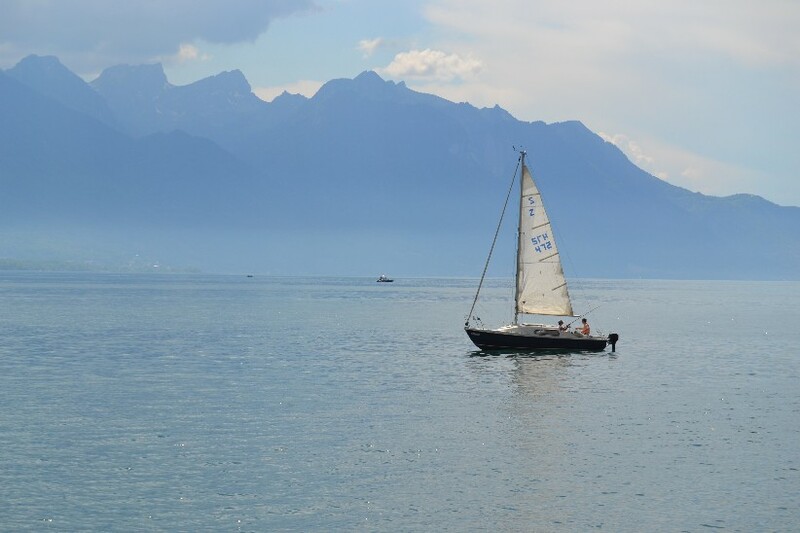 If you keep walking, the path will take you to Montreux. Each single step will show you how the love for greenery, accuracy and richness of Swiss People are not just clichés: multicolored flowers perfectly displayed, labeled trees, fountains, benches, dog bags distributors and beautiful houses are the endless scenery up to the Covered Market Square of the town. 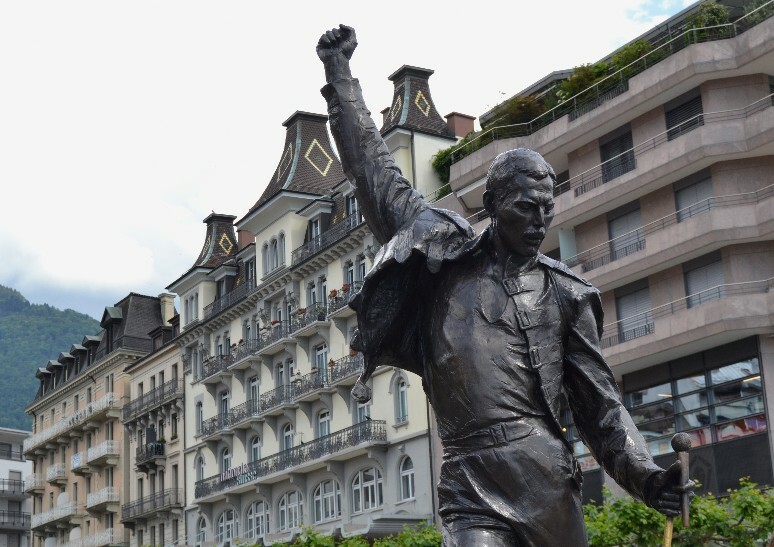 I must say, Freddie Mercury was right to choose to live here! 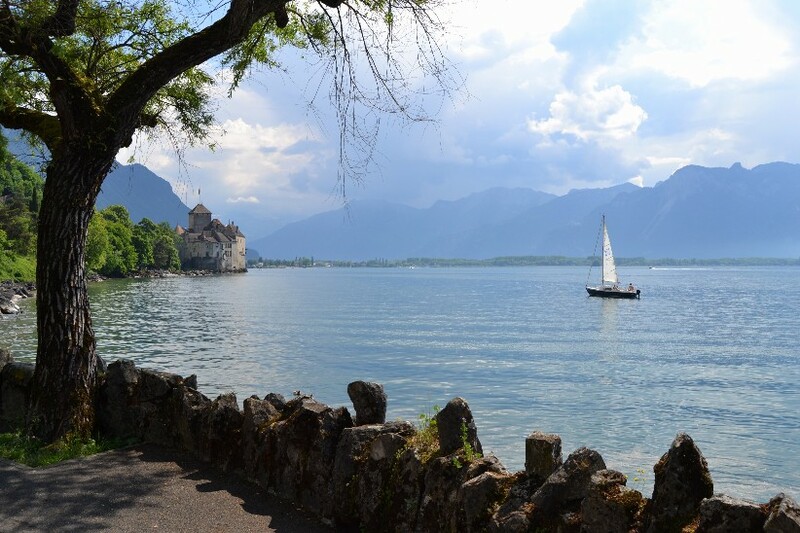 Chillon Castle is reachable by car, the train Veytaux-Chillon, bus N1 from Vevey, Montreux and Villeneuve and boat from Lausanne, Montreux, Vevey and Villeneuve. If the weather permits, the best solution, according to me, is leaving the car at the free park close to the castle and walk up to Montreux, which, especially during the Christmas period – with the lights and the market – is really special: but if you don’t want to walk 10 km round trip, you should take the abovementioned public transportation to retrieve the car. The Castle is open daily (except December 25 and January 1). From April to September: 9 am -7 pm (last entry at 6 pm), in March and October: 9.30 am – 6 pm (last entry at 5 pm), from November to February: 10 am – 5 pm (last entry at 4 pm). Price: 12CHF 6CHF for adults and children, and special offer for families, groups and guided tour. Montreux is one of the most rich and expensive cities in Switzerland, therefore be aware: do not think that feeding yourself at McDonald will make you save a lot .. impossible to spend less than 26CHF! Lo salvo e lo metto nel cassetto per tirarlo fuori tra un paio di mesi per un probabile we mototuristico . Max, il tratto di strada che va da Losanna a Montreux è qualcosa di spettacolare: si costeggia il lago da una certa altitudine, da una parte lago e Alpi innevate e dall’altro vitigni. Farlo in moto deve essere il TOP!